Alexandra, who was born in Indiana, had only one dream: to be a singer. Driven by this desire, she went to New York City to study voice and prepare for the opera. She performed with the Amato Opera Company, the NBC Opera Company, and the Jones Beach Marine Theater. When she married Andreas Zannis, they formed The Continentals, a duo that toured the world, appearing in theaters, hotels and night clubs. Alexandra has written poetry since childhood, but her writing took second place to her singing career and did not surface seriously until after the death of her husband. As of this date, her poems have been published in The Raintown Review, The Pedestal Magazine; The Red River Review; League of American Poets; and in various poetry books such as Penhaligon Page., Ltd, Wales; Poetworks/Grayson Books, Connecticut. In both the 2009 and 2010 Senior Poet Laureate Poetry Contests, she was awarded the prize for best poem submitted by Indiana Poets. She received first place in one of the categories in the 2010 poetry contest by the Poetry Society of Michigan. Other publications include the Pennsylvania Poetry Society Prize Poems of 2009; Nature in the Hooserland (Shadow Ink Publications)’; awarded prizes in the Ohio Day poetry contests; and one of her poems appeared in the 2007 issue of “Encore”, published by the National Federation of State Poetry Societies. In 1999 she published her first volume of poetry, The Open Wound and Other Scars, and in 2012 published her second volume, Categorically Speaking. Her poems cover a wide range of emotions, from humor to anger to love. Her short stories are a variety of humor and imagination. In 2014 her last book of poems, SWAN SONGS, was published. 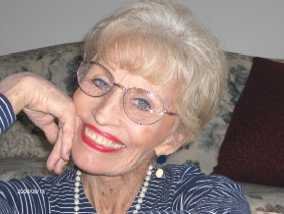 Alexandra was a member and officer of the Association of Florida Poets when she lived in Miami Beach. Upon moving back to Indiana in 2004, she joined the Northeast Indiana P.O.E.T.S (NIPOETS), which is associated with the Indiana State Federation of Poetry Clubs and the National Federation of State Poetry Societies, Inc. She is also a member of The Back Room Poets. For relaxation, she dabbles in oil painting. You can contact Alexandra at amosszannis@frontier.com.